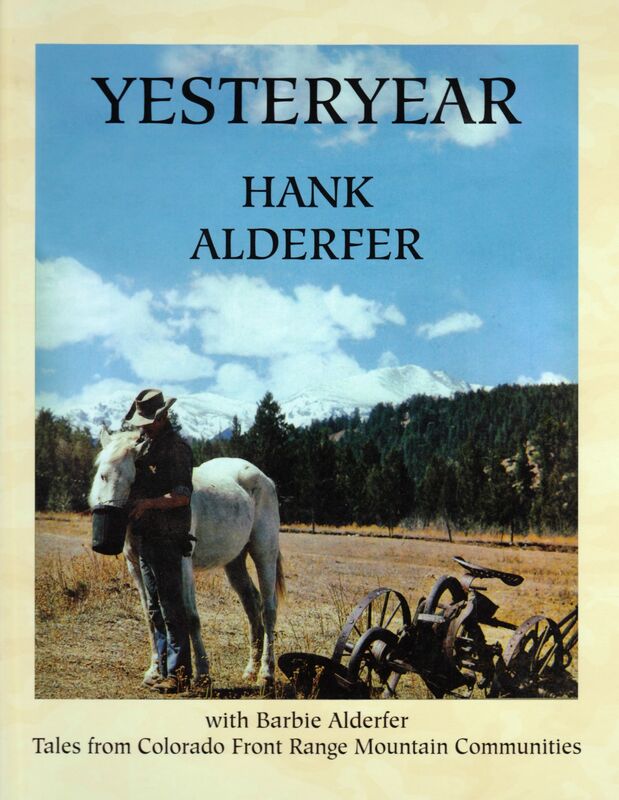 Last night, November 30, 2016, marked the first appearance of Hank Alderfer’s long-awaited memoir of life in the Jeffco foothills in and around and beyond Evergreen. More than a hundred area residents, lifelong or newer friends and well-wishers, gathered at the Evergreen Lakehouse to see this book and pay tribute to its author. Most went home with at least one copy! Peter Eggers acted as emcee of the evening, riding herd on presenters who included friends and colleagues like John Ellis, Mimi Nelson, John Steinle, Linda Dahl, John Erlandson, and others. Storytellers like Hank are not found along every trail. As Hannah Hayes wrote in the book’s Preface: “Retelling the past so vividly with such depth of dedication ensures Hank’s legacy.” More than 100 of Hank’s personal essays, most previously published in the Canyon Courier, are collected here, thanks to the cooperation of its editor, Doug Bell. With them are several newer pieces that help to round out the story. 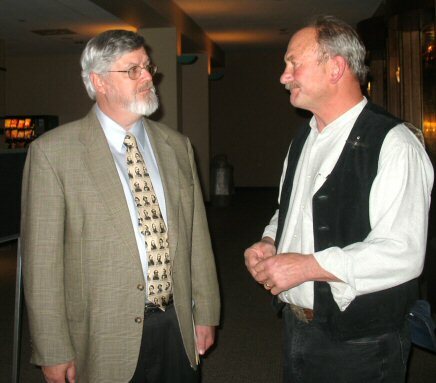 In addition to his own lifetime of personal experience, Hank has collected decades of stories of the pioneer settlers from their descendants and chronicled them here. Today, the recollections he captured inform a regional history that would otherwise be lost. He has performed an invaluable service to future historians. In 2007, Hank was named an honoree in the Jefferson Co. Hall of Fame. The Alderfer legacy remains especially significant to county residents via the preservation of the family ranch as the Alderfer-Three Sisters Open Space Park. In October 2016, JCHC named the Alderfer Ranch House and Barn as a county landmark, another highlight of historic preservation Hank and his family have made possible. Our gratitude goes to Hank and Barbie, and all the others who made this book possible. *You can listen to some of John Ellis’s stories about Hank here, courtesy Evergreen Park and Recreation District. This entry was posted in historic happenings, publications. Bookmark the permalink.